Small - $29.99 Only 5 left! This broken doll once belonged to a little girl who did not appreciate all of her lovely dolls. She would get done playing with one and throw it in a corner. She grabbed her dollies by the hair and even used her talking baby doll as a coloring book once. However, her parents kept buying her dolls even though the little girl was not grateful for them. What a mistake! One day, the girl was playing with her pink haired doll when she got the idea to smash the toy's head against the cement. It will be fun, the bratty child thought. After ramming the doll into the concrete, the porcelain cracked and the doll sprung to life! As you could imagine, the adorable toy wasn't very happy and gave her owner a piece of her mind. The girl was so startled and frightened by the plaything's rant that she decided to stop mistreating her toys for good. We know that this tale is hard to believe...but it's true! 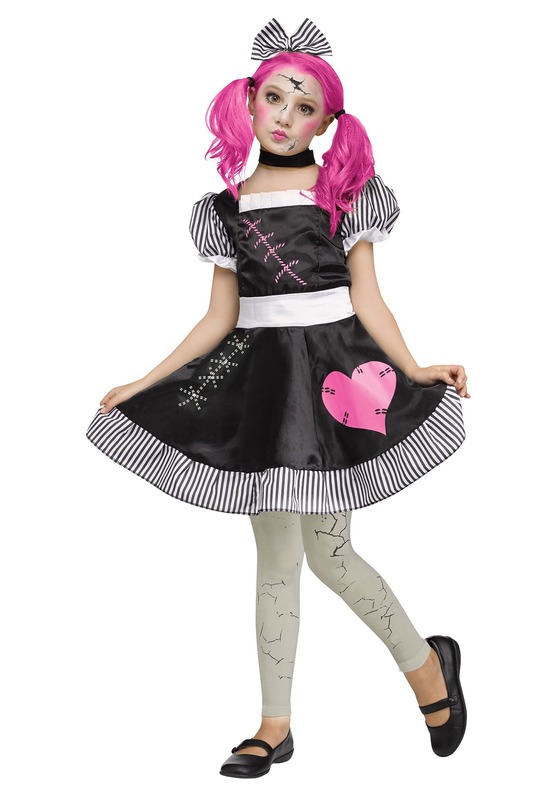 If you want justice for abused toys everywhere, then you'll love dressing up in this broken doll costume. Wear this costume while you spread awareness for all the victimized toys who don't have a voice. This dress fastens via a zipper in back and features a square neckline, puffy sleeves, and a pink heart decal. The footless tights have an elastic waistband and lots of illustrated cracks. 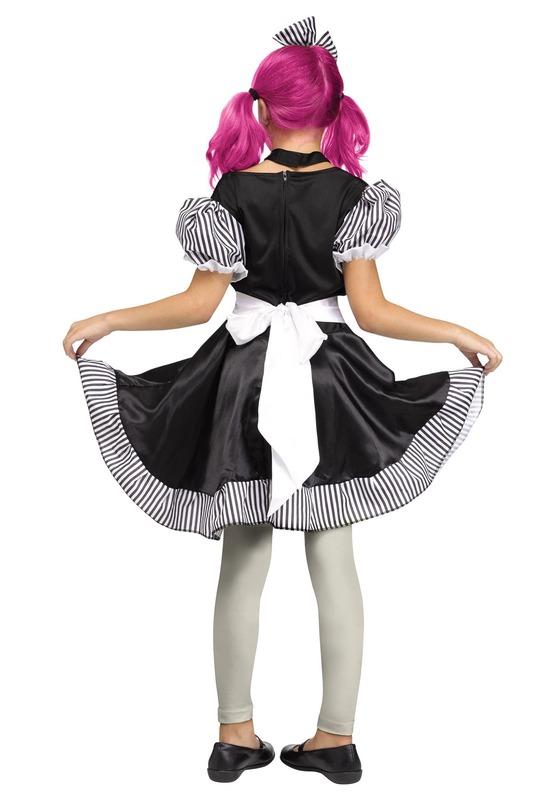 You'll also receive the ribbon choker and striped hair bow. Wear the costume and let kids know that it's important to take good care of their toys!